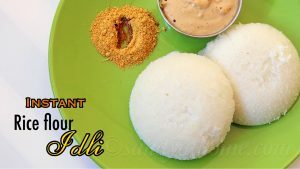 Rice flour idli is an instant idli recipe which requires no soaking, grinding or fermentation of batter and can be prepared on days when you get bored of regular idli or when you want to try something new or most importantly this recipe works great for beginners who wish to surprise their audience with soft and fluffy idli in no time. 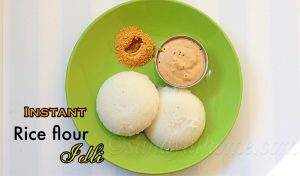 Rice flour idli is prepared with rice flour, curd and water. 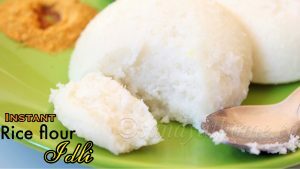 Adding eno/ baking soda helps the batter to double in quantity and yields fluffy idli eliminating fermentation process. 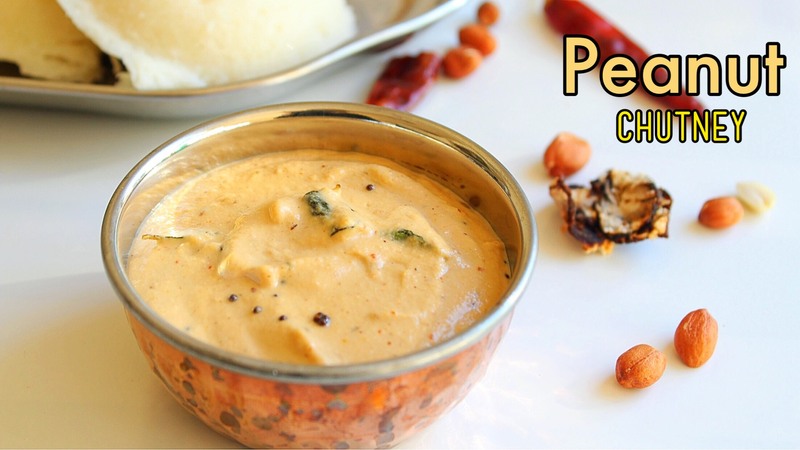 This idli goes well with any spicy chutney or sambar or even with idli podi. 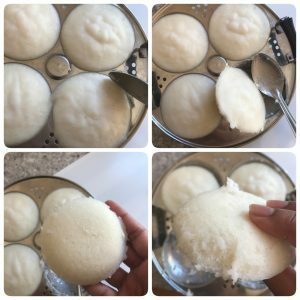 The only key to get fluffy and perfect idli is to add right amount of water to make thick idli batter. 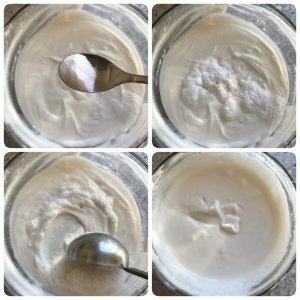 So make sure to add water gradually so you dont miss the consistency. 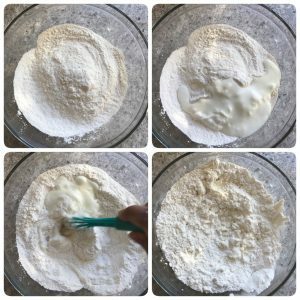 This below recipe can be prepared with store bought rice flour and does not require homemade ones. So lets get to the making! In a wide bowl add rice, salt and curd. Mix well. Now add water gradually to form a thick idli batter. When the batter is prepared allow it to rest for 10 to 15 minutes. Meanwhile grease idli plates with oil. Heat water in idli steamer. After 15 minutes add eno to the batter and mix well. 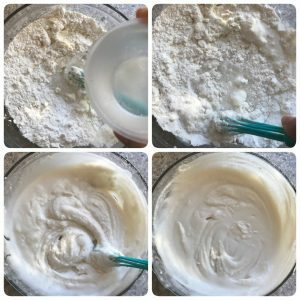 Immediately you will see the batter getting frothy and double in quantity. 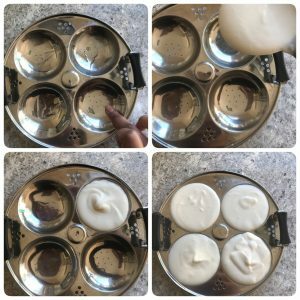 Pour ladle of idli batter in each oil greased idli mould. 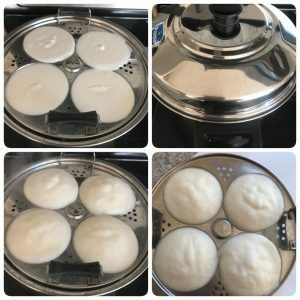 Now keep the idli plates with batter in idli steamer and steam for 12- 15 minutes. When the idli is done remove from idli steamer and let it sit for 5 minutes. 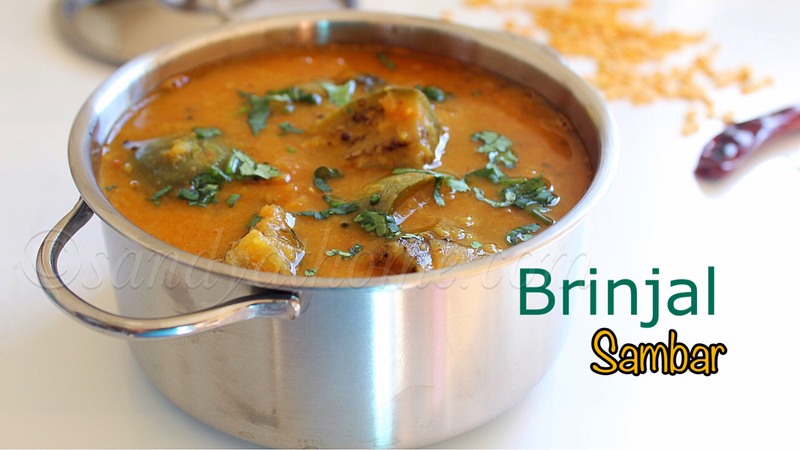 After 5 minutes gently scoop the idli with a spoon and serve it hot with chutney and sambar! 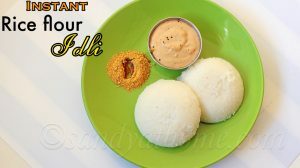 How much idlis can be made with this quantity. .pls…. 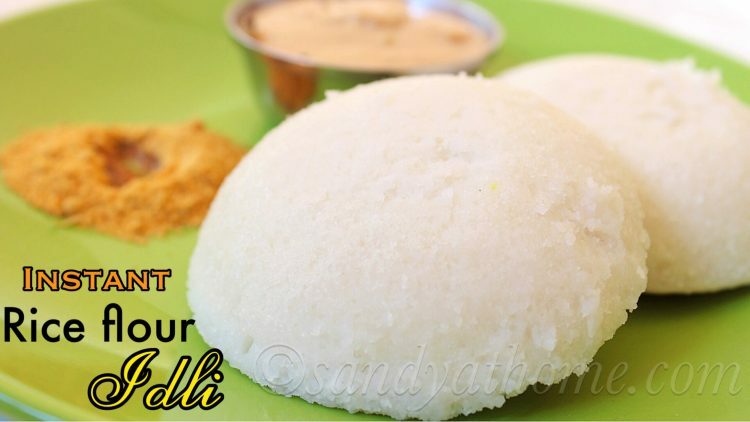 10 idlis can be made with the quantity mentioned in the recipe.